Preheat oven to 400F. 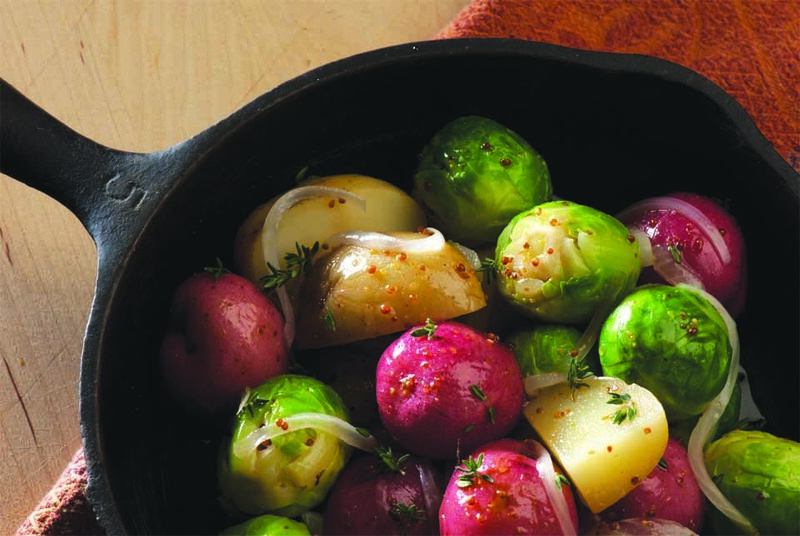 Place the vegetables in a 9 x 13-inch casserole dish. In a mixing bowl stir together all the other ingredients until the mustard is dissolved. Pour over the vegetables & mix well until everything is coated. Cover with foil & place in oven. Bake for 30-35 minutes. Remove from oven; mix vegetables & sauce to coat well. Turn oven down to 325 & cook for 45 minutes uncovered. Serve at room temperature.